Detailed setup and operating instructions for all modes of operation. The KX2, K3 and KX3 do a lot, and our Mini-manuals for these radios cover all of it. Includes operating information for all Knobs, Buttons Setup Menus and optional features. The KX2, K3, P3 and KX3 Mini-manuals provide useful hints and annotations that clarify operations. Indispensable operating aids for the K3, KX2 and KX3 transceivers. At a compact 4.5 x 8 inches, they are conveniently sized to keep with the radio. Organized to find and setup what you need fast. 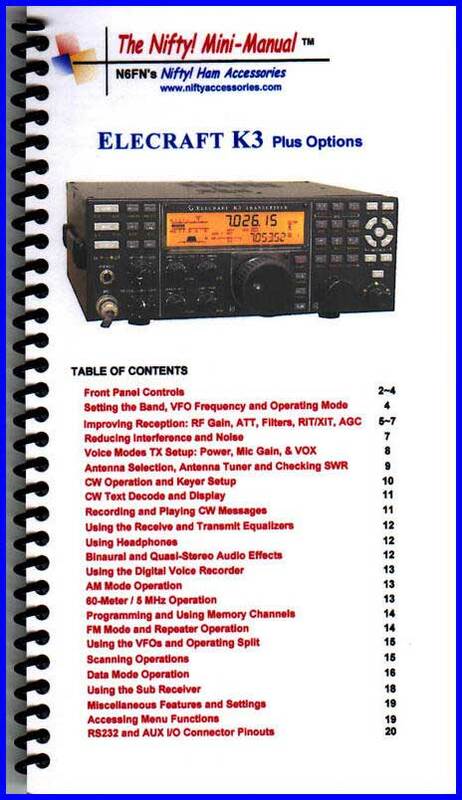 Never again be without a ready reference when operating your transceiver. 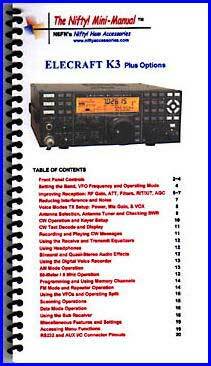 Ideal for Mobile, Portable and Home QTH operations.